The area southwest of Avenida Paulista in São Paulo, bordered on the west by Avenida Rebouças and on the east by Avenida Nove de Julho, encompassing the neighborhoods of Jardim América and Cerqueira César, is one of the swankiest and most upscale neighborhoods in the Americas. It is home to São Paulo’s finest restaurants – i.e., some of the finest restaurants in the hemisphere – and thus is a must for any foodie. Yet this high concentration of culinary awesomeness comes with an annoying tradeoff: eating there can be exorbitantly expensive. But, determined eaters as we are, we did some exploring and came up with a tasty, cheap snack itinerary for those of you wanting to explore the area without breaking your wallet. 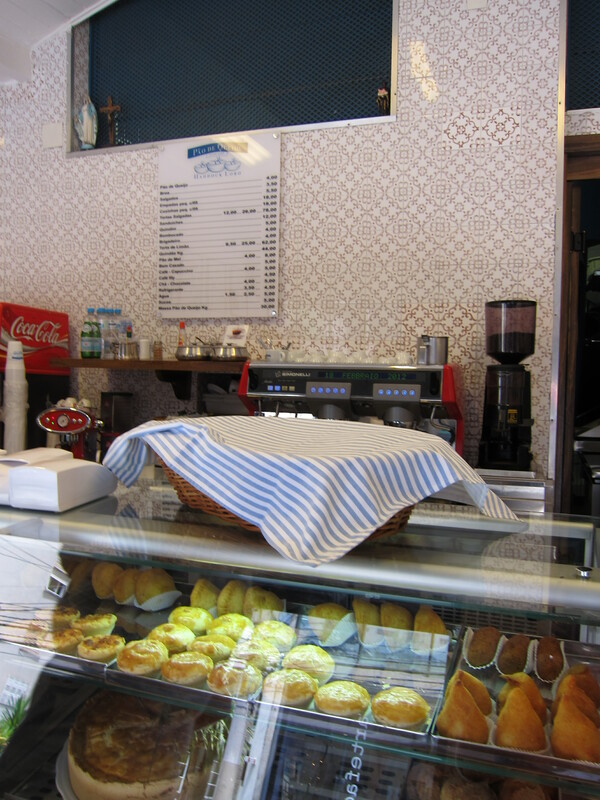 Start out at Casa Bauducco (Alameda Lorena, 1682), a well-known Italian bakery famous for their Panettone. Sample the wide variety of cookies and pastries available, but do yourself a favor and get a fresh slice of chocottone (chocolate panettone, R$5.80), heated with cinnamon and sugar on top. The recipe supposedly takes over 40 hours to make, and you can taste every bit of effort in that chocottone. A few blocks away, continue with the Italian trend and cool off your mouth with a few scoops of the finest gelato in Brazil at Bacio di Latte (Rua Bela Cintra, 1829). Get a grande size for R$12, and up to three flavors. We recommend the maracujá (passionfruit) and negrissimo (super dark chocolate) flavors, especially in combination. Be sure to sit on one of the converted milk jugs as seats. If you need a little relaxation time, take a load off in the excellent book selection and beanbag chairs at the famous Livraria da Vila (Alameda Lorena, 1731), where you can admire the famous bookshelf-doors while sipping a coffee or cappuccino at their cafe and wondering why anyone would pay R$ 10 to valet a car at a bookstore. Still hungry? Walk south to the unassuming Pão de Queijo Haddock Lobo (Rua Haddock Lobo, 1408), serving up the best cheese bread in the city, if not the country. If you have time, wait for a fresh batch to come out: you will get the most for your R$4.50, which is worth it [full review here]. Having had your fill of cheese bread,finish up your explorations by deciding what other flavors could entice you at Folie (Cristiano Viana, 295), purveyor of excellent French macarons. Choose from Brazilian-inspired flavors, including brigadeiro and beijinho; or go with something even more inventive, such as drink-themed macarons with flavors like Gin & Tonic and Green Tea. 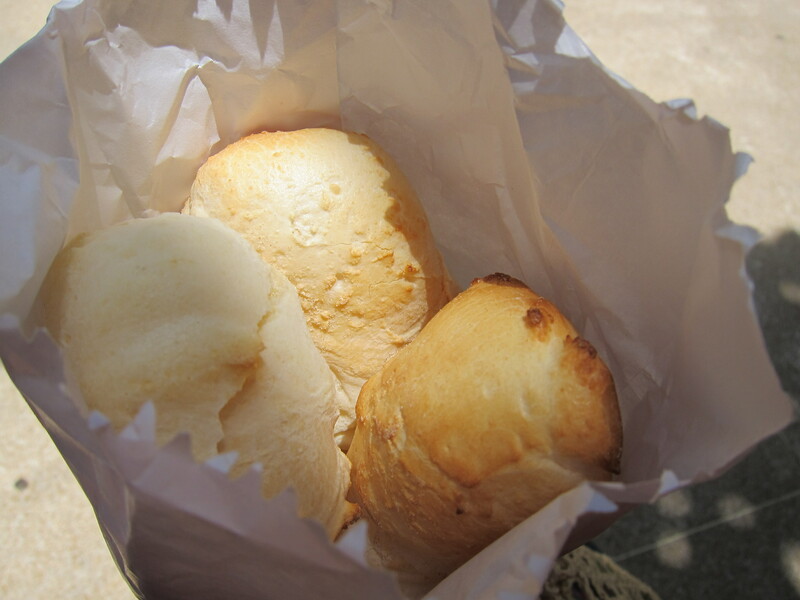 When we first wrote about Pão de queijo in 2007, we had no idea we would be undergoing so many Brazilian food adventures, and enjoy making Brazilian dishes so much. One of our friends recently asked us what our favorite Pão de queijo recipe was – and we are happy to share it with them and here – our go-to recipe is Simply Recipes’ version. Since Brazilian cheeses are hard to come by in the US we substitute Cotija cheese, readily found in Mexican grocery stores.